AYC TD2714 TAYLOR Fold-A-Way Manicure Table: The Taylor Nail Table is foldable for maximum protability. Perfect nail table to have for small quarters. Easy to move around the room. 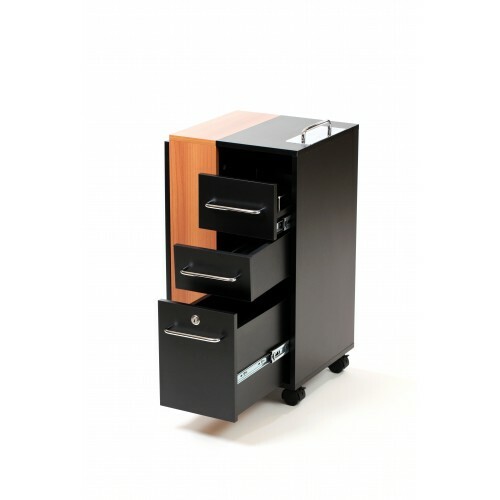 You can hide the nail table portion and use it just as a trolley. 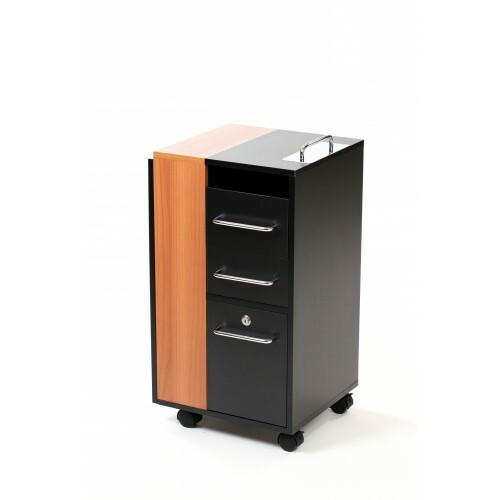 The locking cart has 3 drawers to hold your nail accessories. 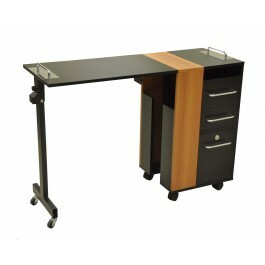 This affordable manicure table comes in black with a contrasting light brown wood color, or solid black.